Men and women, Mercury and Venus. Cut it any way you want but the result is the same: the two sexes are different. Watchmakers have been making gender specific watches since time immemorial. Why? Men and women don’t always like the same things. We have different sized wrists, we have different tastes, we read different magazines, we shop at different stores. Unisex doesn’t work – and thankfully Apple just killed it. Usually the story with technology is different. Men and women rarely have different phones, and while there may be some differences at a granular level between preferred models, we don’t treat our tech like we do our clothes. The wearable tech explosion has changed the rules, and most of the world’s tech companies are yet to acknowledge it. Some, such as Sony and Samsung have blindly ignored this obvious difference, pretending that women love huge LCD screens attached to their wrists – as Rachel Riley showed above at Samsung Unpacked. Others, like Withings have simply reduced the size of their watches to find a compromise, which is evident on the Activité that comes with an 18mm strap instead of 22mm. The result – as we pointed out in our hands on review – is a delightful watch that feels a little dainty on a male wrist. The logic of tech companies’ design choices is clear. With wearable tech still a niche, doubling up on design and manufacture by making male and female versions isn’t a good way to break even on your product. It’s much easier to pump out products aimed at the traditional male early adopter and wait for smartwatches to catch on – but Apple just changed the game. 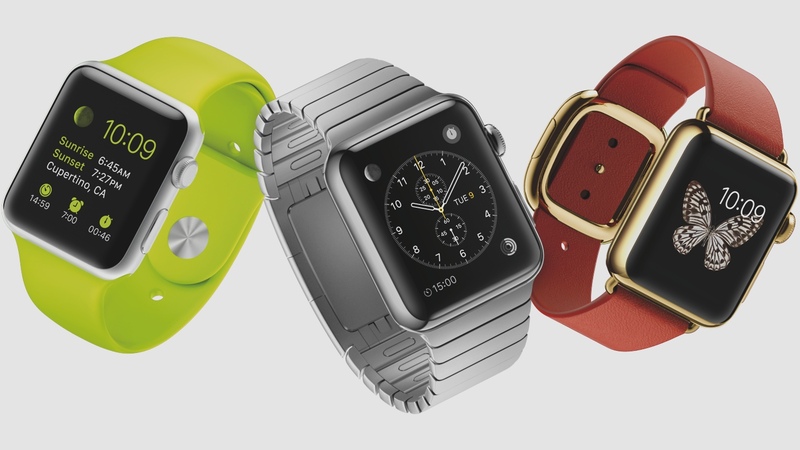 The Apple Watch comes in 34 different variations, including three models all in male and female-friendly sizes. Then each of those models comes with straps, colours and customisations that enable buyers to make a personal choices. Tag and Rolex don’t simply make one watch and hope everyone likes it, and neither has Apple. The tech company is behaving like a watchmaker, and it has every chance of selling watches like one. We’re still yet to learn much about what makes the Apple Watch tick. We know it’s pricey, we know it’s a companion to the iPhone rather than a replacement and it’s easy to dismiss its usage cases based on cost alone. However, every year in Basel thousands of watchmakers gather to show off beautiful pieces of designer jewellery that do nothing more than tell the time, and many cost in excess of £10,000 – and those are the reasonably priced ones. It’s a billion dollar industry, and Apple just bought itself a ticket to the show.